Even if you’ve managed a video production company for a while and you have a great animation team, it will still take some time to create quality content. On that note, we created some pointers on how to choose an animated video production company. There are so many things that can go wrong with each step which is precisely why these video marketing services can be expensive. However, given how they can attract new customers and impact your business sales, it is one of the best ways to improve your blog. 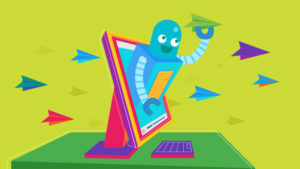 Wish to learn more about the explainer video production process? Below are the essential steps in the Breadnbeyond explainer video process. The process may be stretched or shrunk depending on various factors such as the urgency of the project, clients’ timeframe, etc. Before you start writing a script, there are questions you need to ask yourself. 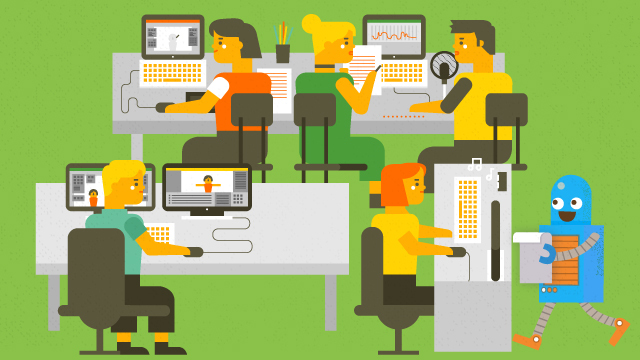 What is the purpose of the animated explainer video and who is your audience? There are a lot of companies that deliver videos to everybody. When they start an explainer video production project they don’t focus on anyone in particular, thinking that this will increase their reach and help them sell their products or services. Needless to say, this is a completely wrong way of doing things. The need for analyzing your audience is even more important when it comes to explainers. Given that this type of message has numerous elements (combination of visuals, audio, and text) it is really easy to make a mistake and alienate viewers. Professional video explainers should help you create contact with your audience. If you have poor targeting, everything will be for naught. 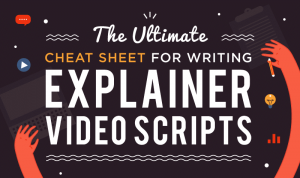 Script represents the core of your video. Without a script, the explainer video production and ultimately the end results are almost guaranteed to tank. Even though visuals and sound effects are very important for conversion, without a proper explainer video script you won’t be able to achieve the necessary results. Like with any written content, every word should have a meaning. Explainers are very restrictive in that regard. That’s why you should carefully count how many words that you can have in an explainer video script. our study on how many words an explainer video should have, we found that a 60-second video should have between 160 and 180 words per minute. how many words should an explainer video have, we found out that a 60-second video should have anywhere between 160-180 words per minute. You have limited time at your disposal and need to consider every word and sentence. Have in mind that your script will also influence the scenes and the final product that the audience will see. Lastly, your message needs to be simple and understandable. Branding is another thing that should be considered during initial phases as it can dictate in which direction you need to go. You should account for it while making the script. You also have to consider how your brand will fit into this video. When people see the content, can they easily tell it was made by your company? Here, colors that are used will have the best impact. You can also use the same font that is used on your website. Of course, if you can add the company’s logo in the background, that will be an additional benefit. Make sure to align explainers with the other forms of content. If you’re creating elaborate, scientific articles that rely on quality information instead of entertainment, it would be counterproductive if you started creating funny videos. Although animated videos let you diversify your content and try out new things, do not go overboard as this can alienate your loyal fans. During the mock-up phase, style is chosen and characters are created. This is where the explainer video production actually starts. Motion graphic animation and so on. This phase is especially important for branding. Make sure to find something that suits your company’s needs and image. For example, 3D animation can be perfect for IT companies while whiteboard animation can be better suited for “static” industries. Although most animation companies have a portfolio with potential ideas, a lot of clients will have their own vision. Communication will be important during this phase as any misunderstanding can force a production company to scrape the whole video and start again. Needless to say, this can be costly both for the client and service provider. If a script is being used as a message, explainer video storyboards are used to bring that message to life. As the name implies, a storyboard shows individual slides while using the script to describe an action happening within them. A storyboard can also be described as a visual blueprint or a master plan. It is a mix of motion, transitions, and shots. Also, it is a basis upon which animation, illustration, voice-overs, music and sound effects are added. 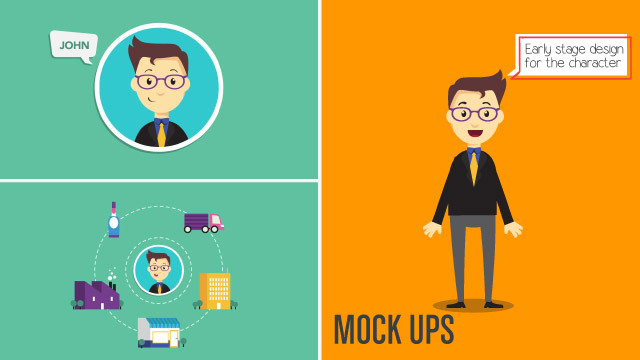 Like with a mock up, it is much better if the client is working together with an explainer video company on this one. It is a perfect time to exchange ideas. 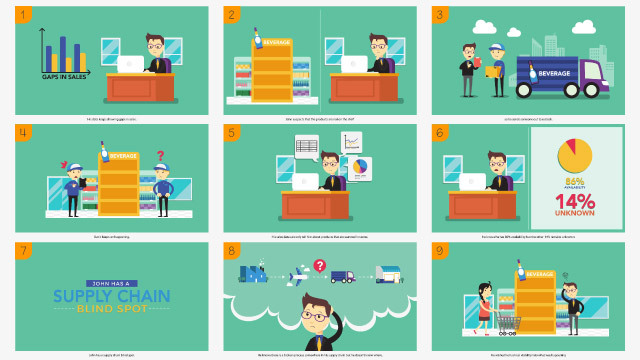 Here’s an example of a storyboard for an explainer video. The customer also has to decide how the entire video will play out and appear visually. Voice recording is a rather straightforward task. Explainer video companies cooperate with voice actors. As soon as the client approves the script, the actor can start doing the job and finish voice recording in a reasonable amount of time (usually within 24 hours). Of course, explainer companies have numerous actors at their disposal and depending on companies’ preferences (regarding voice type) it is easy to find just the right fit. However, there is rarely misunderstanding during this step. 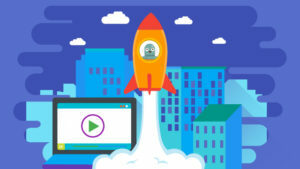 Animation is the next step of the explainer video production process. At this point, you will have individual elements and all you need to do is put them in motion. It is also the most demanding task for an explainer video company and takes the majority of the project time. The quality of the final video will be most affected by animation. Lastly, we have to deal with sound effects and explainer video music. Despite what some people may think, music can be crucial to set up the mood. While characters in a video can express emotions, music is used to better depict these emotions to the audience. It is also an important tool for leading the audience. If your video has a commercial character and is meant to sell a product or service, music is the best way to set up a purchasing mood. Sound effects can go well with overall style, making characters and video goofy or serious. In addition, to sound effects and pieces of music, you should consider adding more features like subtitles — check out our article on Free Explainer Video Software for more information. Whether or not the client will be satisfied with the product depends on both the client and the video company. Most explainer video companies have a portfolio or at least a presentation so it is usually hard to blame them for the quality of the final product. The client should have a general idea as to how the video will turn out. The issue usually occurs due to lack of communication and involvement. Explainer video production is a really sensitive process and for optimal results, it requires a client’s involvement during various stages. Good communication is also a must as it is really hard to tell what is in a person’s head. Of course, lack of quality can sometimes be a result of the video company’s sloppiness but as long as the client is involved, this risk will be reduced. Sometimes, the video production process can take too long. Not being able to meet deadlines depends on the client and his wishes. It can also be caused by the company’s laziness or due to the fact they have more clients than they can handle. On average, the production process can take several days up to a week. It is best to ask your explainer video company in advance so you know what to expect. Here is an infographic with all the information you need to get started on your first explainer video project. The explainer video production process requires the involvement of both company and client. There are a lot of things that need to be discussed and a lot of personal preferences that have to be met. It is also a complex process. Each step needs to be done perfectly for a good final product. This is why you need to be careful when choosing a service provider. However, animated explainer videos are definitely worth it. They can attract new visitors, diversify your content and propel your website to a new level.